It's probably obvious that I love writing, since I have a blog and everything, but I've never really shared any of that writing on my blog, or my channel. I've never actually done a slam poem before, but I was inspired by all of the talk about pre-existing conditions, and the possibility that health insurance will be affected by them (in the US). As someone with "pre-existing conditions, this news is upsetting. It's unfair that people should be judged and labeled based on diseases they were born with, or disorders they have no control over. Why should that affect the care that people receive? We don't have a choice in these matters, it's all up to our genetics. 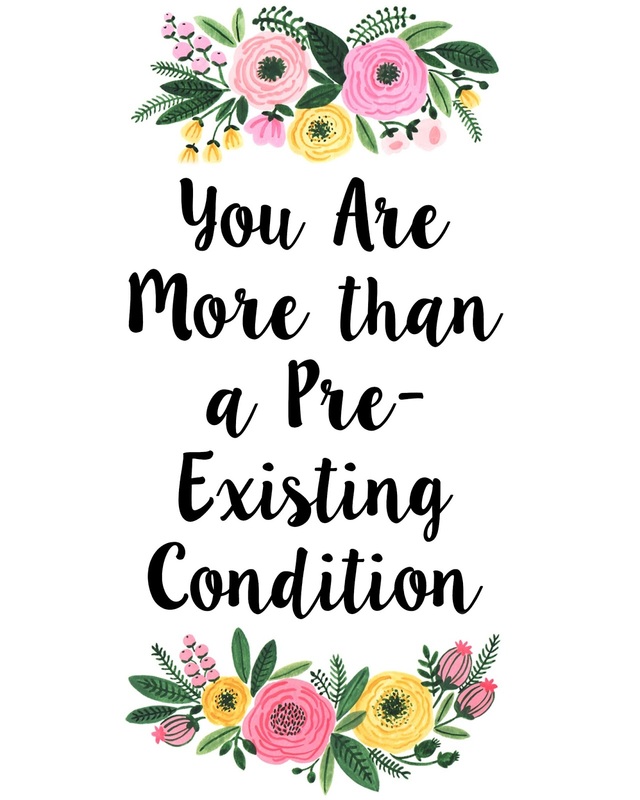 Yes, sometimes diseases can be caused by our actions, like lung cancer, but many of the "pre-existing conditions" are out of people's control. Not only are people of all ages affected, but parents of newborns with these conditions are suddenly forced to face the consequences of paying more for their child's health insurance, on top of the sheer costs of having a child. All of this talk about "pre-existing conditions" just perpetuates labels, and further makes an "other" category for people in society who are facing hardships and suffering. We should help these people, not force them to deal with their problems in an even more isolated way. Who are we to judge someone based on something they're born with and have no choice about? Being able to judge someone because of a condition they are born with make it that much easier to judge them on a more personal level. We're all different, and instead of letting those differences divide us, we should try and let them connect us and learn from each other. I obviously have a lot of thoughts about this, so I made a slam poem about it. This is my first one I've ever made, and I'm loosely calling it a "slam" poem since I still needed to look off of a paper for a lot of it! I didn't have time to memorize it before I had a chance to film, but since I really wanted to get the video up, I went ahead and used the paper for reference. If you want to watch the video, you can do so below! I hope you enjoy!